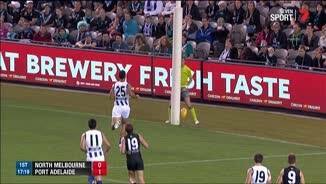 In a match that went down to the wire, was this behind correctly awarded to Port Adelaide? Port Adelaide have had five individual goal kickers in this quarter alone (Mitchell, Broadbent, Ebert, Schulz and Young). 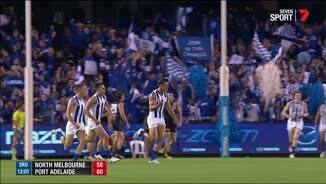 North Melbourne have had three (Thomas with three, Wood and Petrie). Lindsay Thomas doing his finest work this quarter. Three disposals, three kicks, three goals. North Melbourne have hit the front, and it's due to winning the contested ball and clearances. They are up in contested possessions 34 to 23 this quarter, and up in clearances 12 to 7 this quarter (6 to 3 at centre bounces, of which Cunnington has four). Lindsay Thomas has been involved in a match high (by a long way) seven free kicks, winning four for himself, and giving away three. Cunnington is having a huge last quarter, with nine disposals, seven contested possessions and two inside fifties. Almost nothing to split the teams in this last quarter. Possessions, inside fifties, disposal efficiency, contested possessions are all very close. Both teams have scored 3.1 (19) since threequarter time. After a stellar first quarter, Broadbent has been quiet, with only nine disposals since quarter time. He has popped back up for his first goal, which is the longest goal of the night. Jay Schulz has had a solid game so far, with eight contested possessions, five tackles and 15 disposals for 4.1 (25). 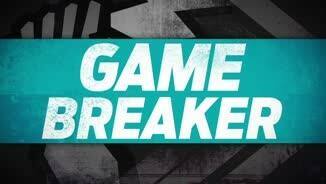 Port Adelaide InterchangeBrendon Ah Chee was substituted into the game for Ollie Wines. North Melbourne playing with desperation in this last quarter. They have made seven one percenters to Port Adelaide's 0, and laid 6 tackles to Port Adelaide's 4. 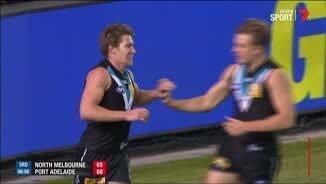 Port Adelaide InterchangeOllie Wines off due to an injury. 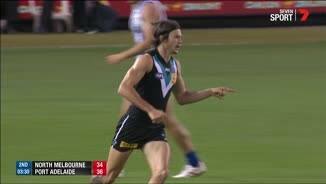 Port Adelaide have dominated the centre clearances, winning them 18 to 6 so far in the match. 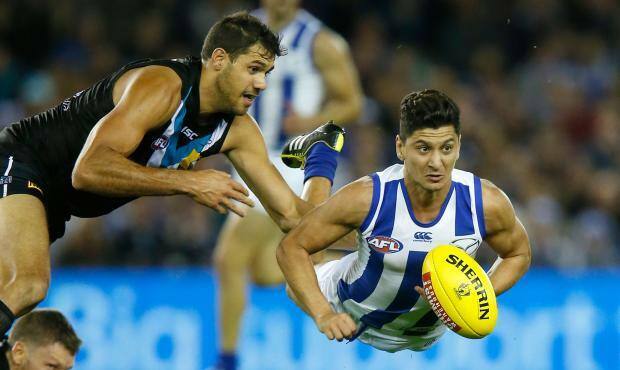 North Melbourne have won clearances elsewhere on the ground by 24 to 16. 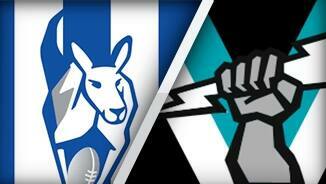 Port Adelaide have hammered North Melbourne in timeon. They have had 19 inside fifties to 11, and scored 7.3 (45) to 2.5 (17) in time-on. Ryder yet to get a disposal this quarter, but has 14 hitouts (4 to advantage). Kangaroos InterchangeBrent Harvey off due to an injury. Kangaroos InterchangeShaun Higgins off due to an injury. Power InterchangeMatthew White off due to an injury. Power InterchangeJay Schulz off due to an injury. Power InterchangeTom Jonas off due to an injury. Kangaroos InterchangeSam Wright off due to a concussion. Kangaroos InterchangeSam Wright off due to an injury. Kangaroos InterchangeTodd Goldstein off due to an injury. Welcome to Etihad Stadium for the North Melbourne v Port Adelaide Round 3 clash. 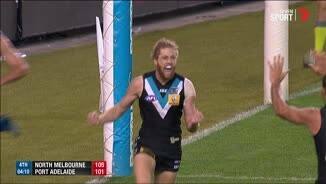 PORT Adelaide has finally notched its first win of the 2015 season, outlasting a brave North Melbourne to run out eight-point winners in a thrilling contest at Etihad Stadium on Saturday night. The Power led for much of the game but never by more than the 20-point advantage they took into the half-time break, and the Roos looked set to pull off an unlikely victory when Lindsay Thomas' third goal of the final term put them four points up at the 21-minute mark. But after young Roo Mason Wood stretched the Roos' lead to five points with a behind two minutes later, Aaron Young put the Power in front at the 26-minute mark when he ran into an open goal and Kane Mitchell sealed the Power's win with a nerveless set shot five minutes later. Port fully deserved its 17.11 (113) to 16.9 (105) victory, just its second win from eight games against North at Etihad – its only previous win coming in the 2005 elimination final. But the Roos could take heart in a gutsy performance that was even braver considering they lost Daniel Wells (Achilles tendon soreness) as a late withdrawal and vice-captain Jack Ziebell midway through the first quarter after he copped a heavy knock to the abdomen as he tried to spoil Ollie Wines in a marking contest. Ziebell was taken to hospital for precautionary scans, with Roos coach Brad Scott telling Channel Seven at quarter-time that the midfielder had suffered "some internal issues" and was "coughing up some blood." Skipper Travis Boak worked his way into the game in the second half after he was he well held by Ryan Bastinac early, while Jay Schulz kicked (four) and Matt White (three) combined for seven goals, and Jack Hombsch was outstanding in holding Jarrad Waite goalless after the Roo's seven-goal haul against the Brisbane Lions in round two. 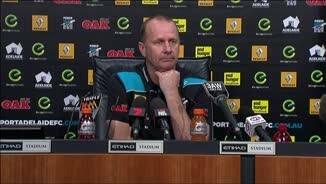 After facing three top-six sides from last year in the first three rounds, Port Adelaide coach Ken Hinkley hopes the tough opening to the season will hold the Power in good stead. "It's been a challenging start but it was really pleasing that we were able to hang on tough in the last quarter and win the battle of the inside stuff that we really set ourselves for this week," Hinkley said after Saturday night's game. "We should probably try to do that every week and we do. Tonight the boys, to their credit, the one thing they wanted to do was be hard enough when it counted." North coach Brad Scott was proud of his team's effort under adversity but said some basic defensive lapses cost it the game. "We're bitterly disappointed in the result. Obviously we worked really hard to keep in the game and any time you're in front with about six minutes to go and lose from that position it rubs salt into the wounds," Scott said. 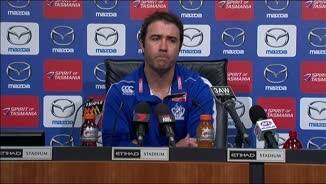 "I thought Port Adelaide were fantastic. I thought our fight and effort were great but there were some clear areas where they were better than us. "Guys stood up under some adversity but we still had the numbers to get the result and we still put ourselves in a winnable position. "There were some fundamental things we didn't do well. We got slaughtered in the centre bounces and I thought there were some really cheap easy goals through fundamental defensive mistakes which cost us the game really." For the Roos, Todd Goldstein continued his excellent start to the season, wining his ruck duel with Patrick Ryder, while Andrew Swallow (30 possessions) picked up much of the midfield slack left by Ziebell, Wells and Nick Dal Santo, who had surgery on his left hamstring on Thursday. Brent Harvey gave North a lot of run in an uncustomary role across half-back, while Ben Jacobs (30 possessions), after being substituted into the game midway through the first quarter, and Luke McDonald (28) gave the Roos a lot of drive across half-back. Thomas kicked four goals for the Roos and Ben Brown kicked three. The Power started the game well, controlling much of the first quarter, but despite dominating the inside 50s 16-10 could not convert their dominance onto the scoreboard. The Roos deserve some credit for that, their fierce defensive pressure all over the ground forcing the Power into uncharacteristic errors and limiting their quarter-time lead to nine points. North sprung from the blocks at the start of the second quarter, kicking the first two goals to take a four-point lead at the five-minute mark of the term. But Port hit back, opening the Roos up with run and precise ball movement to kick five of the next six goals and go into half-time with a handy 20-point lead. A run of three straight Power goals in five minutes from the 24-minute mark of the second term was particularly costly for North. North then kicked five of the first six goals of the third term to hit the front by four points at the 13-minute mark before the Power settled to take a nine-point lead into the final break.